Last Tuesday, after the good chats with all the food bloggers in D’artagnan, we were invited to enjoy some sweet treats/desserts in the Curious Squire. The curious squire was opened in 2012 after the old Sparrow, at the same address, was closed. In fact, for a long time I was wondering what the site was going to be used for. 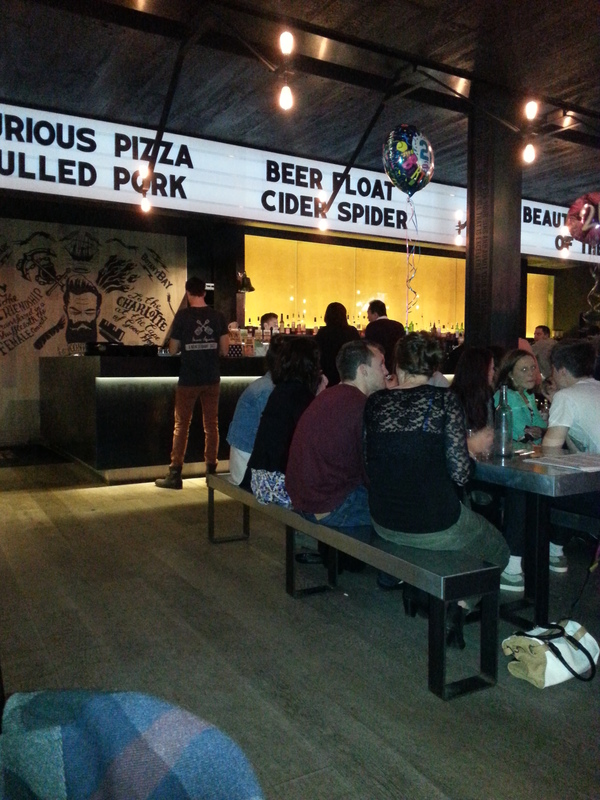 After several months, the Curious Squire opened its door to serve a selection of pub food and bar snacks and became one of the famose night places in Adelaide. The restaurant is located at the very beginning of O’Connell Street. The menu of the restaurant covers a good selection of pub fares. 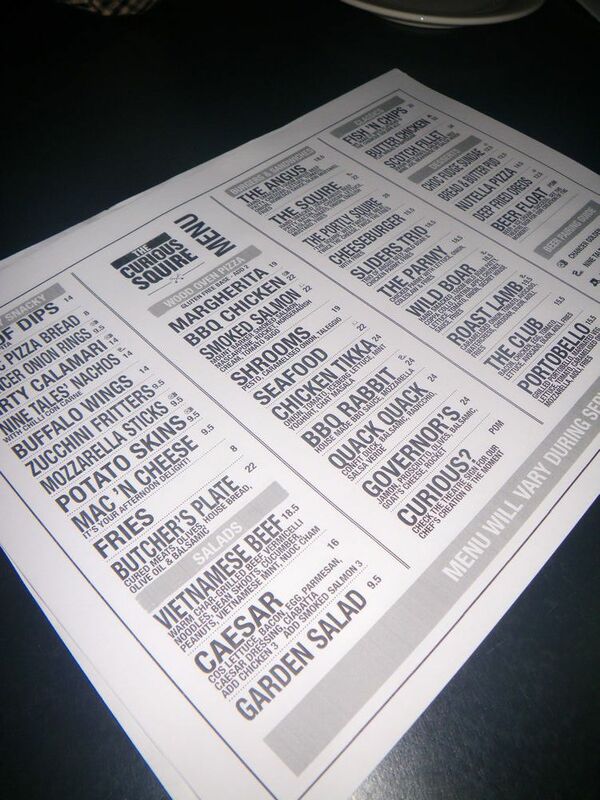 From salads, snacks to pizzas, burgers and sweets are all covered in the menu. Diners can also find specialty dishes such as game meat like rabbit and cured meat like jamon. Anyway, we were here for desserts after dinner. My regular readers know that I don’t eat much desserts and hence for these sweets, I had a taste of each. I should really recommend them as they were all beautifully made. 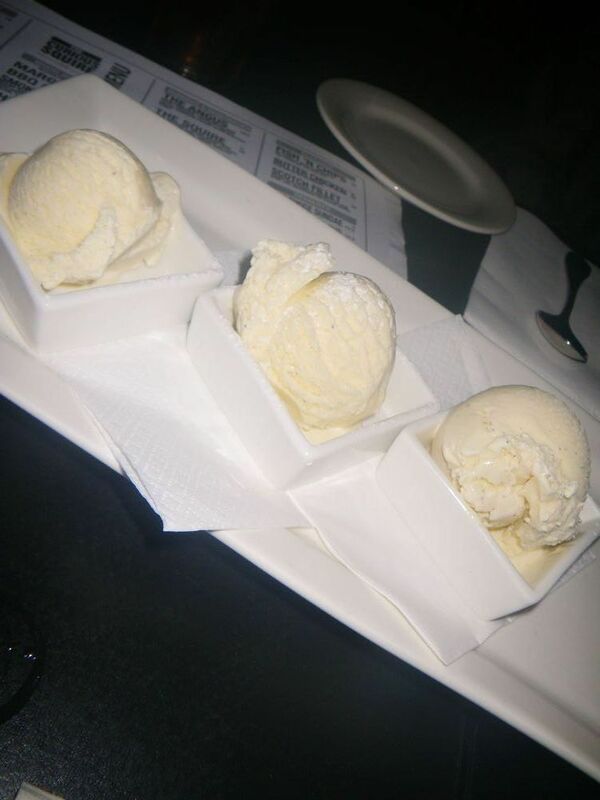 This is one of the most popular items of the restaurant and everyone at the table thoroughly enjoyed the dessert. 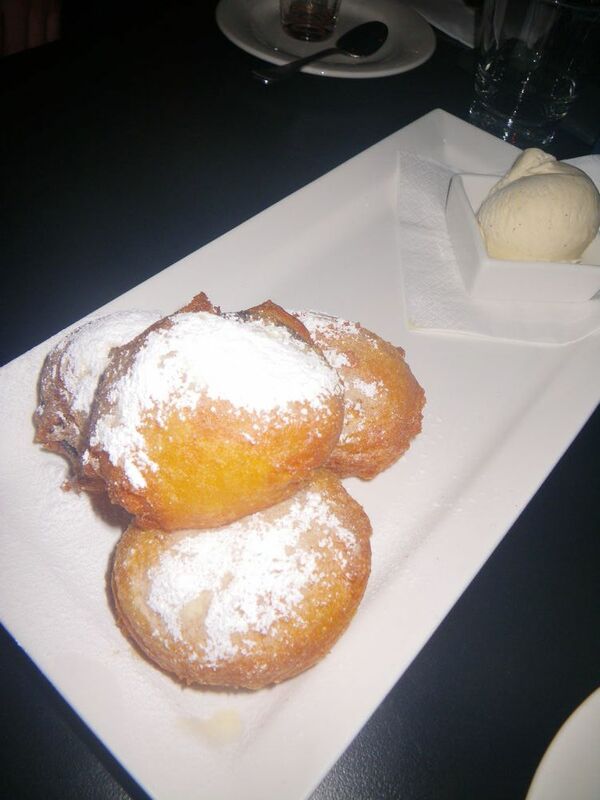 An oreo piece was wrapped in a dough and was deep fried to perfection. The dough, after frying, was crispy and sweet while the inside oreo still exhibit chocolate flavours but the texture was soften a bit. A nice creation even for a non-sweet tooth person like me. I am sure many Australians and Italians have tasted Nutella and we all love its distinctive chocolate complexity. However, I never imagined that people can incorporate it into pizzas. The real result, as I’ve seen from the Curious Squire the other night, was a beautiful and very tasty dessert pizza. If you are addicted to pizza or Nutella, I strongly suggest you to try this dish. The sweetness and bitterness of chocolate were well balanced for this pizza and especially after baking, I tasted this smoky chocolaty and nutty flavour which went very well when I had their house made vanilla bean ice creams. Oh, btw, do you know where the biggest nutella is in Adelaide? It’s available in Marino Meat in the Central Maket! I’ll have more posts on the Central Market later, so stay tuned! Our drink came at last, it’s named Apple Cider Spider. 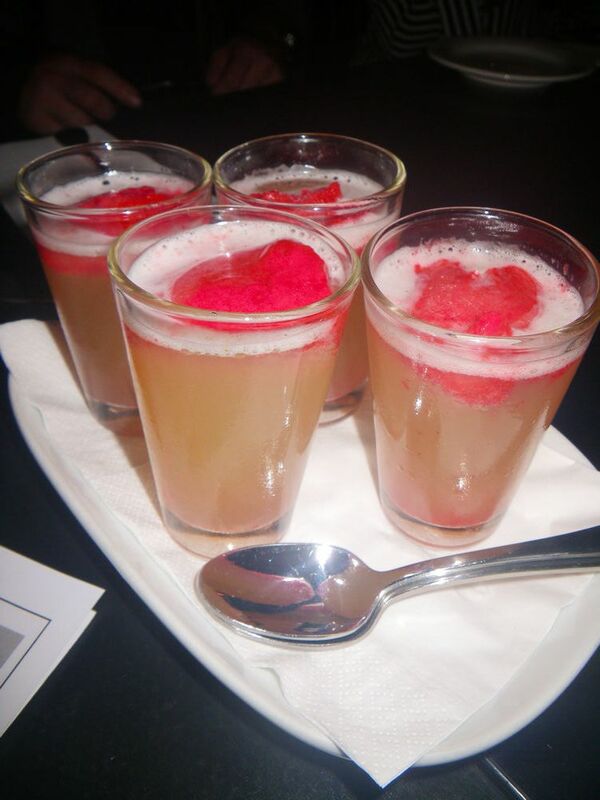 Although I didn’t know how the drink was made, it was absolutely divine! If you ever go to the curious squire, try it yourself. I think it should be one of their beer float but I am not too sure. Anyway, it was very fruity because of the apple cider and the gelato float. Very refreshing after having so many food and wines for the night! Generally, I enjoyed dining at both D’artagnan and The Curious Squire. I would strongly recommend my readers to try the steaks at D’artagnan and the sweet treats at the Squire. Another thing is worth crossing the road for is the toothfish at D‘artagnan. It’s the wagyu version of fish and currently trade over $75 per kg. I’ll have a detailed post up later with recipes of toothfish and some sensory aspect of it, probably in two to three weeks. Coming up next on the blog is my specialty seafood sushi and sashimi dinner with the freshest possible seafood directly from Port Lincoln with some recipes and taste tests. Stay tuned! Our friends from uni all love this place. The sweets are the best! 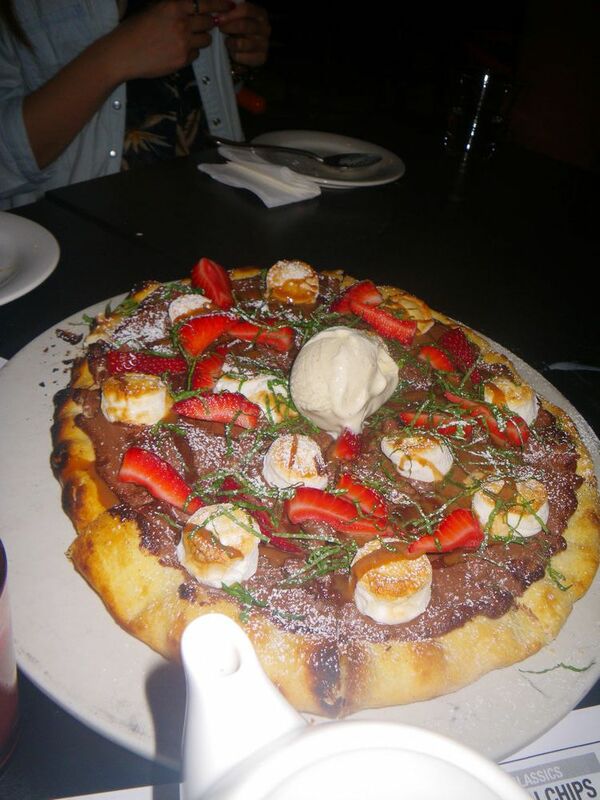 Absolutely adore to the nutella pizza. A must every time we visit this restaurant! Was it basil on the pizza? Or mint? it looks so yummy! Yup, it’s tasty too! Check it out.